The North East Students’ Organisation (NESO) observed ‘Black Day’ in protest against the Citizenship Amendment Bill and also police excess at Tripura, All Manipur Students’ Union (AMSU) a component of the NESO along with other students bodies of the state today hoisted black flag at its office premises. DESAM, MSF, KSA , SUK and AIMS etc. jointly organised the mass protest. President of AMSU, Manjit speaking to media persons said that the Black day is observed against the atrocities committed against the protestors at Imphal and Tripura. The police had fired rubber bullets and used tear gas to chase away the protesters. Here at Imphal too the protest demonstration has been sabotaged by the police using excessive force injuring four of the protestors. Manjit called on the people to stand together against the Citizenship Amendment Bill. He also warn serious form of agitation if the CAB is not withdraw. At Tripura, after the firing incident, prohibitory order under Section 144 of the CrPC had been imposed for an indefinite period at Tripura’s Madhabbari and adjacent areas. The NESO comprises of Khasi Students’ Union, All Assam Students’ Union, Naga Students’ Federation, Mizo Zirlai Pawi, Twipra Students’ Federation, All Manipur Students’ Union, Garo Students’ Union and All Arunachal Pradesh Students’ Union. As per report, the security forces also attacked the ambulance, which was carrying the injured to the hospital. Expressing grave concern over the turbulent situation in Assam’s Brahmaputra valley along with some parts of Northeast India, Patriotic People’s Front Assam (PPFA) yesterday urged the government to reassure local people that the region would not be adversely affected by the citizenship law amendment initiatives undertaken by the Union government in New Delhi. At the same time, the forum of nationalists called upon the Centre to review the cut-off year for identification of illegal migrants in Assam from 1971 (25th of March) to 1951. A nation cannot have two separate cut-off years — with one cut-off year meant specifically for one State, viz. Assam) — to detect illegal foreigners in the country. “We want the apex court to settle the matter so that the issue can be resolved for good. Otherwise, we will not mind if the cut-off year to detect illegal migrants in the entire country is amended to 25 March, 1971,” said the PPFA statement, adding that such a move would reassure the people of Assam that as the world’s largest democracy, India does not differentiate between her own people by having two cut-off dates for determining citizenship. All Manipur United Club Organization (AMUCO) along with other civil society organizations including Committee on Human Rights, AMWOVA, Apunba Nupi Khunai etc. today staged a sit-in-protest and later stage a rally towards the Chief minister Bungalow in protest against the Citizenship Amendment Bill 2016. The rally started from Kwakeithel Akham Leikai in front of AMUCO office at Tiddim road. As the rally reached Keishampat a strong team of police tried to stop them and later confronted with the protestors. Speaking to media persons President of AMUCO Ph. Devan said that it was very unfortunate to pass the Citizen Amendment Bill 2016 at Lok Sabha which is against the indigenous people of North East where the people of all the North Eastern states reject it. He added that the bill is just a policy to wipe out the indigenous people of the North East states. Even now the threat by the mainlanders still lingers and adding more threat the bill will let allow a bombardment of influx of crores of foreign people. “The people of Manipur and all the North East should stand against the Citizen Amendment Bill”, Devan appealed. In a press released by Coordinator, Standing Committee of Maoist Communist Party Manipur Kyonghan Mangang said that it is a big hoax to the people of the state where some media affirm that the visit of Chief Minister of Manipur at Delhi is to discuss issues against the Citizen Amendment Bill 2016 on the contrary he was just visiting the National Council Meeting of his BJP party held at Ramlila Maidan. The BJP government showed its high headedness attitude by playing with the minds of people and misinforming the general public by certain media where he did not went for the welfare of the people but only for its party meeting to plan for the upcoming election, it added. He said that the misinformation spread in the media regarding Chief Minister’s visit in Delhi is a vivid example of misleading the editors by the media advisor of Chief Minister. The Maoist Communist Party Manipur warns the media advisor of Cm and said that they will not just watch if he continues to mislead the editors of Manipur by taking advantage of being an editor earlier. 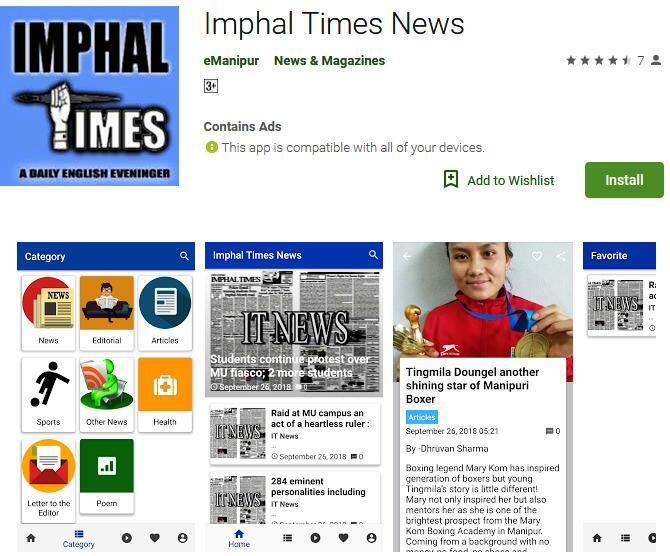 He also added that the credibility of the Media society of Manipur will diminish if the Media Advisor of the CM continues to mislead by informing with false news. The press statement said that the people should not take it lightly where the CM just left irresponsibly leaving behind all the burning issues of the North-East just to attend its National Council Meeting. The Chief Minister, Deputy Chief Minister and many of its MLAs and minister were all out of station just to take part in the meeting leaving the people at stake. The BJP led government and all its ministers consider the meeting to be more important than the interest of the people. Kyonghan inform the people to know how much the government with its publicity stunt through media spread lies to the public. So the Maoist Communist party will take a big responsibility to wipe out a party like BJP who doesn’t even know the sentiments and also a party who doesn’t think for welfare of the people. He also appealed to the people of Manipur to take decisions to wipe out BJP. Finally Maoist Communist Party Manipur appeals to all the people related, to not lead the media community mislead by the media advisor of CM. Combine team of 43 Assam Rifles and Moreh Police seized huge quantity of smuggled Sandal Wood and Redwood from a hide out at a Moreh residence yesterday evening. As per report by our Moreh Correspondent, the seized Sandalwood and Redwood weigh around 62 Kg and is worth around Rs. 9 lakh at local market. Exact weight of the seized items as per police report is 61.53 Kg. And the smuggled items were hidden at the residence of one MD Rajaouddin (age about 35 years, son of Md. Lahimuddin) at Moreh ward No. 7, the Indo Myanmar Border Town in Tengnoupal district. The Combined team search the house after getting specific information regarding the hideout of the smuggled item, our correspondent added. The seized items along with the smugglers were paraded before media. All Manipur Music Association (AMMA) held celebrated its 34th Foundation Day at Shri Shri Bal Mukunda Dev Music College, Imphal East, Konung Mamang. Secretary of the Manipur State Kala Academy, L. Kishworjit on Chief Guest, Guru Nongthombam Nongthon Singh, Manipur Music Association on President and Wangkhemcha Shyamjai, Editor Kangleipak Meira attended as dignitaries. In his key speech Secretary of AMMA said that he felt happy as well as emotional. He praises his teachers saying that classical music is important for the art. He added that he wish to oraganise a competition only for classical music lovers but it did not happen due to the lack of finance. On the other hand a cassette call Nising Khudol was also released giving tribute to respected teacher late H. Modhu Sharma by his wife. A fierce gun battle took place between suspected National Socialist Council of Nagalim- Isak Muiwah (NSCN-IM) cadres and security forces in Namtak of Tirap district near Assam Arunachal border. The battle lasted for hours and as of now there were no sign of any causality on both side. Police team re-enforce conducted search operation at the area. Police source said that during the cordon and search operation two suspected cadres were apprehended. Details are awaited. Meanwhile Assam based newspaper reported that The Jagoon Police received specific inputs of militant activities in the Assam- Arunachal border areas of Margherita in Tinsukia district. According to official sources, the Tinsukia police received photos of a troop comprising 17 suspected United Liberation Front of Asom (ULFA) cadres moving into the state via Myanmar who have been residing in Faneng, Wara, Kenya of Assam Arunachal border. During search a operation carried out by Assam Police, a heavy exchange of gun-fire took place between the police and the suspected ULFA-I cadres. No casualty have been reported however the troop escaped from the scene successfully. It is clear for the state of Meghalaya. The Chief Minister of the State has made his party’s stand on the issue. A meeting of the party NPP held yesterday had re-affirmed its stand. As for the state of Manipur, Chief Minister N. Biren Singh talks in the similar way that Himanta Biswa Sharma had tried to convince his people. N. Biren said the CAB will not affect the Manipur as the state legislative Assembly had passed the “Manipur Peoples’ (Protection) Act, which is yet to get assent from the president of India. Tulihal Battalion of 9 Sector Assam Rifles under the aegis of IGAR (South) celebrated National Youth Day with the students of Government Higher Secondary School, Wangoi on 11 January 2019. This day Marks the 156th birth anniversary of Swami Vivekananda. As part of the celebrations the battalion conducted a declamation competition at Government Higher Secondary School, Wangoi. The students were given opportunity to present their views on contemporary topics including role of youth in combating social problems, drug abuse and nation building. In addition the students of Class IX to XII also expressed their views on role of women in active politics and choosing Indian Armed Forces as a mode of regional development. The event provided a platform to stimulate the young minds, bring awareness amongst the youth on various social problems and motivate the young generation to assist and accord their valuable contribution towards Nation building. The students and school staff appreciated the effort of the Assam Rifles for organising the competition and the students vowed their contribution for brighter times ahead. The event culminated with prize distribution to the best speakers followed by refreshments for all. At team of Indo Myanmar Association (IMA) from Manipur India participated at Myanmar-India Business Summit & Trade Fair at Sagaing Myanmar. In this India-Myanmar business summit & trade fair Sh.Shamu President of the Indo-Myanmar Association (IMA) delivered speech at Town Hall. He mentioned about the Indo-Myanmar Association that the IMA was established in 1995 and registered in 2003 under the Manipur societies Registration act, 1989 ( Manipur act no 1 of 1990).The founder president of the Association is Bijoykumar Langam who was born in Sittwe, capital of Rakhine state in 1924. He passed I.A from Jadsan College under Rangoon University in 1941.He, however came to Manipur during Second World War. He is indeed a true son in this region of India and Myanmar . In fact he was the first person who introduced learning of Burmese language in Manipur. Thus, Indo-Myanmar association was able to produce a number of Manipuris to know the language. Thereafter, Manipur University too managed to open Centre for Myanmar studies and imparted 1 year Diploma course in the language. Our Indo-Myanmar Association was able to publish 2 books for learning Myanmarese under his guidance. Now, on the demise of the founder President, I was elected unanimously for the post on 23-April-2017 and continued to hold it till date. Our IMAs principal objective is to enhance the contribution to the growth and development of the close relationship in socio-Economic, Trade and commerce including tourism and health sector in the region thereby increasing the economy of the peoples of both countries ie India and Myanmar under Act East Policy. Since IMA being a non-profiting organization under least Developed country (LDC) we want to develop a good relationship with Myanmar in general and Sagaing in particular and also to involve in the activities for promotion of economy of the people in this region. During this two days programme, medicines for ailing persons and wheel chairs for disables are also being deliberated. “Every year, we organized programme for India Nationals to visit Myanmar and to appraise rich heritage and unique cultural ties between the two neighbouring countries. And Myanmarese nations are encourage to visit India as well. “We are happy to announce to this august gathering that, in the last Manipur Sangai Festival 2018 during the month of November our Indo-Myanmar Association was able to organized 20 Myanmarese Nationals for a FREE VISITE TO MANIPUR. We are really grateful to His Excellency, The Consulate General of India, Mandalay who have given them not only timely VISA on land route, but also wished them for safe and secure journey by bidding FLAG-OFF on 19 November 2018.Thank you, His Excellency Sir I on behalf of the Indo-Myanmar Association am, indeed grateful to you Sir. Now the relationship in between the two great completed 70 years by now. Both countries have done a lot for the welfare of our land and peoples in different ways. Our Indo-Myanmar Association will be delighted if some work, activities are entrusted to us by the Government and people thereafter. We are proud of Manipur Industries Development council(MIDC) and SALAI Holdings pvt. Ltd as they co-operate to take part in this Trade Submit and Trade Fair, over here. We hoped that the respected members to adhere deliberation in their respective fields of business with their Myanmarese counterparts in a positive way. I hope that today’s negotiation and decision between the trades and businessmen of the two friendly countries shall be fruitful one and remain forever”, he added.